Offering you a complete choice of products which include plywood box, long pine wood packaging box, pine wood box, wooden crate box, heavy machinery packaging wooden box and wooden jumbo box. 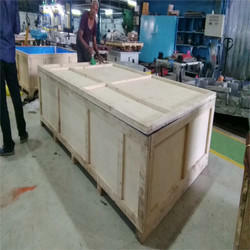 Our best quality ranges of Plywood Box are primarily used to ship the industrial components and delegate machineries to export market / client location. These are available in wide varieties of sizes and specifications. Designed to meet export standards. Long Pine Wood Packaging Box to ship long shafts, automotive axles, forgings etc to overseas locations. 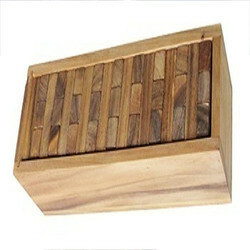 We provide the best quality range of Pine Wood Box which are manufactured in our advance unit using high-quality materials. 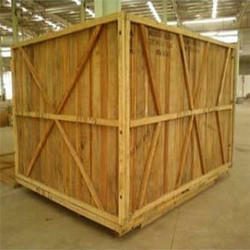 With our client-centric approaches, we provide the most advanced and cost-effective range of Wooden Crate Box. Commonly. With the help of our experienced staff, we also offer on-site packaging service with weather protective materials such as tarpaulin, stretch film wrap, bubble bag wrap. We provide Heavy Machinery Packaging Wooden Box with on-site packaging services for the variety of machinery manufacturers. Due care is taken to protect the machinery from damages during shipment. 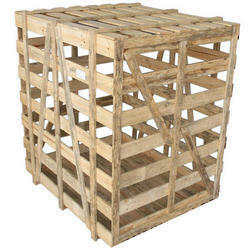 We also provide Wooden Jumbo Box for on-site packaging service for medium to heavy components. 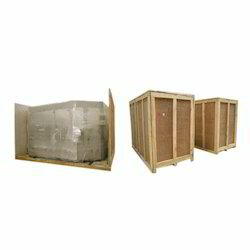 We provide Heavy Duty Wooden Box with on-site packaging services for the variety of machinery manufacturers. Due care is taken to protect the machinery from damages during shipment.